December 2012 - it's the end of the world, Crossed style! 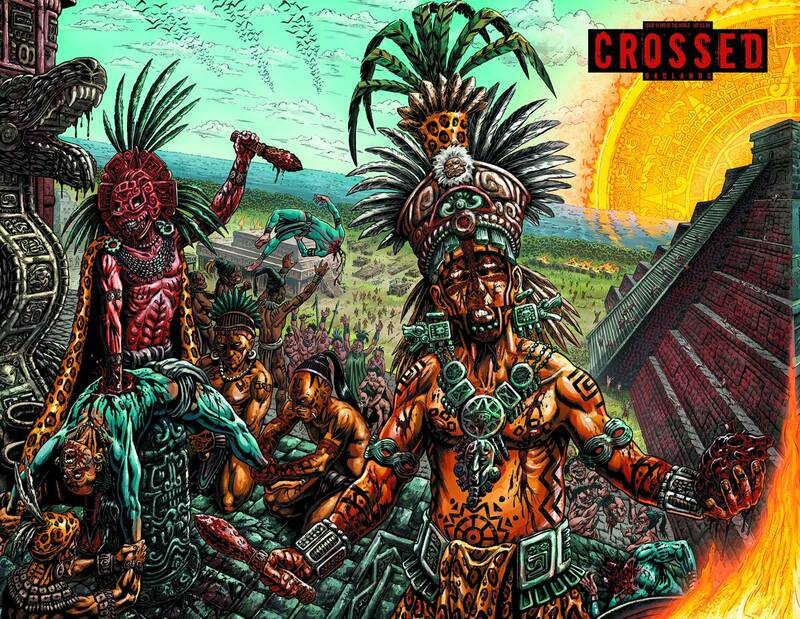 And to celebrate we have a special Crossed Badlands event by Si Spurrier and Raulo Caceres. Even in the first days of the Crossed epidemic, there was the one-in-a-million rare berserker who was able to concentrate his rage on a subject from deep in their old mind. All that fury and hatred bent towards not general mayhem but a single vile and unthinkable action. One goal...one driven horror...to find love lost. Available with a Regular, Wraparound, Torture covers by Raulo Caceres, and a special Red Crossed Incentive. Also, on #19 and #20 only, don't miss the amazing End of the World Connecting Covers. This special connecting cover set celebrates the end of the known world as predicted by the Mayans, Crossed style!